Two islands. Two wars. 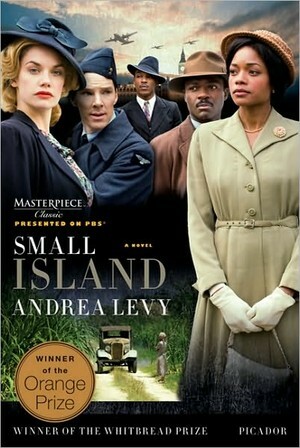 Two marriages—these all converge Andrea Levy’s 2004 Orange Prize–winning novel Small Island. The islands, Jamaica and Great Britain, have been joined for years as mother country and colony. When the mother country calls on the colony for aid during World War II, many of the men of Jamaica are ready to come, but when they arrive, they find themselves embroiled not just in a declared war against Germany and Japan, but also in an undeclared war between black and white. The stories of the two wars and the two small islands are seen through the eyes of two couples: Hortense and Gilbert and Queenie and Bernard. After a brief prologue from Queenie, the novel begins in 1948, with Hortense’s traveling from Jamaica to London to reunite with her husband Gilbert, who is lodging in the home of Queenie whose husband Bernard never returned from the War. Levy then takes the story back to “Before”—before the War, and before the marriages. The novel then alternates between 1948 and the time before, with each of the four main characters being given chapters in which to narrate his or her own story. The construction is beautifully done. I tend to love books with inverted time lines or extensive flashbacks, and Levy piqued my curiosity right from the start with Hortense’s arrival in a strange country to meet a man she’s married to but barely seems to know. Gilbert is so unconcerned with her coming that he doesn’t even meet her boat. Hortense appears utterly shocked at his dirty room, as if she expected something more. And what was with Queenie’s strange reaction to Hortense’s arrival? How did these characters end up together? I had to know, and Levy doles out the information at just the right pace, giving insights into each character’s history and letting readers get inside each person’s head. The shifts in time lines and points of view are always easy to follow. Each chapter is clearly marked with a time period (1948 or “Before”) and the name of the character narrating that piece of the story. But even if the narrator hadn’t been named at the start of the chapter, it would be easy to figure out who is speaking because Levy gives each character such a distinctive voice and personality. Condensed milk, I said, five times, and still he looked on me bewildered. Why no one in this country understand my English? At college my diction was admired by all. I had to point at the wretched tin of condensed milk, which resided just behind his head. ‘Oh, condensed milk,’ he told me, as if I had not been saying it all along. Tired of this silly dance of miscomprehension, I did not bother to ask for the loaf of bread—I just point to the bread on the counter. The man enclose his big hand over the loaf, his freckled fingers spreading across it. I stared on him. Was I to eat this bread now this man had touch it up? With his other hand he wiped his nose as he held out the bread for me to take. I did not take it, for I was waiting on him to place the bread into a bag to wrap. What made Hortense’s story so fascinating was seeing how other characters react to the same conditions, and to Hortense herself. And Levy doesn’t seem to privilege one character’s voice over the others. When Gilbert gets exasperated at Hortense’s demeanor, you can understand it, but you can also understand Hortense’s frustration at Gilbert. I loved watching their relationship develop. It’s funny and sweet, while also being honest and raw. My kind of love story, and I delighted in how their story brought some charming comic moments to an otherwise serious book. And the book is serious. Dead serious when it comes to the racism Jamaican soldiers faced during and after the war. There are some harrowing moments of violence in this book, and it’s not all related to the bombs from above. This is a piece of history I don’t know a lot about, but it felt real. Of course, Gilbert and Hortense are only one of the two couples. Queenie and Bernard get just as much attention, and their story was almost as compelling as that of their Jamaican counterparts. Bernard’s story, involving his service in Burma, feels a bit thrown in, as if Levy needed to give him something to do. By the end of the book, the importance of his emotional journey is clear, but as I was experiencing it, that section didn’t quite work for me. My only other quibble is that the dramatic denouement of the story relies a bit too much on coincidence and cliché. In the hands of a less skilled writer, a couple of moments would have been eye-rollers indeed, but darn it, those moments worked! Yet another lucky win from the LibraryThing Early Review program. Great review! I haven’t read this one yet but I listened to a great interview with the author about the book on the BBC World Book Club podcast – she read from the book and did voices for each character – it was excellent! Glad you enjoyed this one! Colleen, Very cool to hear the author doing the voices. Actually, I bet this would be great on audio because of the different voices. This is a wonderful review! I don’t think this is the sort of book I’d normally pick up — the cover, in particular, looks to me like the front of a British melodrama — but your review has piqued my interest. I love books that have shifting timelines and multiple narrators, especially love stories because you get inside the brains of two people to see how their relationship works and doesn’t work. Kim, the cover is the tie-in for the BBC/Masterpiece Theatre presentation, which is the edition I read. Based on the cover, I wouldn’t have picked it up based on that cover either, but I had seen some great reviews, so I put my name in the hat at LibraryThing. I have this on my TBR pile and I’m hoping to read it this summer. I’m curious how my thoughts will compare to yours. I skimmed this post a bit, but I hope to return to it when I have read the book. Iris, I hope you do get to it. I’ll be interested to see what you think. Most of the reviews I’ve seen have been good. I’ve been interested in this one for a long time, though have somehow managed to avoid actually reading it. Clearly my loss! I think that books that deal with war and racism can tend toward heavyhanded if the author isn’t immensely skilled, so I’m glad to hear that it manages to avoid that pitfall while still being powerful. This is one I definitely need to check out! Steph, I know what you mean about the heavy-handedness, but I didn’t find that to be the case here at all. I think it really helps that the author let multiple people speak. I have this at home and have been meaning to read it for months. Your review has made me want to pick it up immediately. Thanks! You’re welcome, Melissa. I hope you enjoy it! This sounds really interesting. I had no idea that Jamaica sent men to fight for England during WWII. I didn’t know about that either, Stefanie, but it makes perfect sense since Jamaica is part of the British Commonwealth. And I gathered from reading some other reviews after posting that the post-War period was when the massive immigration of West Indians to England began. I need to get on the Andrea Levy train. 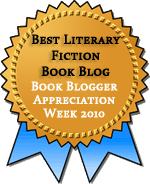 For some reason I was dead set against her books for several years – I think I must have had her mixed up with another author – but I keep seeing glowing reviews of her books all around the blogosphere. Somehow I missed this one when it came out, but I recently got a copy and am really looking forward to it. I’m glad to hear you liked it so much! Carrie, I missed this when it came out too. I’m glad it finally came to my attention and I got a chance to read it! I read this a while back and really enjoyed it. The author did a fine job of creating the feeling of being there and experiencing things along with the characters. Even though they are very different, we feel for each one. Thanks for reminding me why I should be recommending it to my reading friends! J.G., I too really loved how she could help us relate to each character. Really great writing.